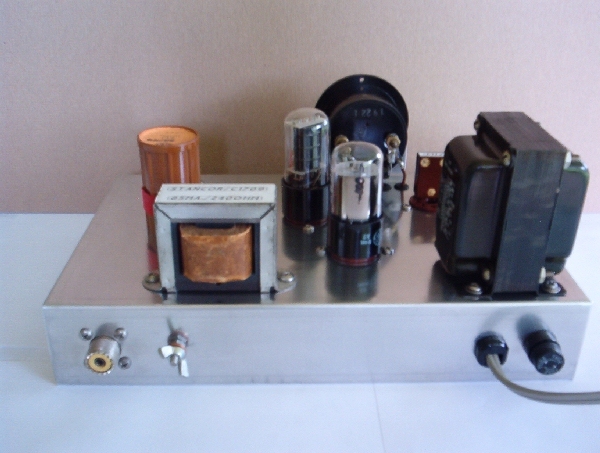 The Ameco AC-1 was a popular transmitter kit between 1956 and 1970. With an average price of around $14.95 USD, it was a great started kit. 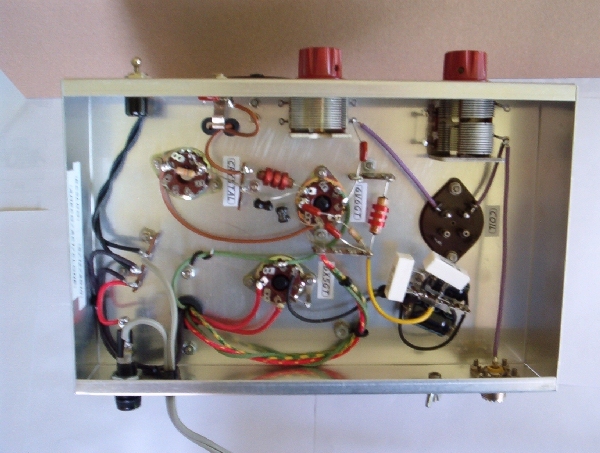 There was an early and late version with differences being in the variable capacitors and power supply. Average power output was 5 to 7 watts. My AC-1 replica is a much improved third version. 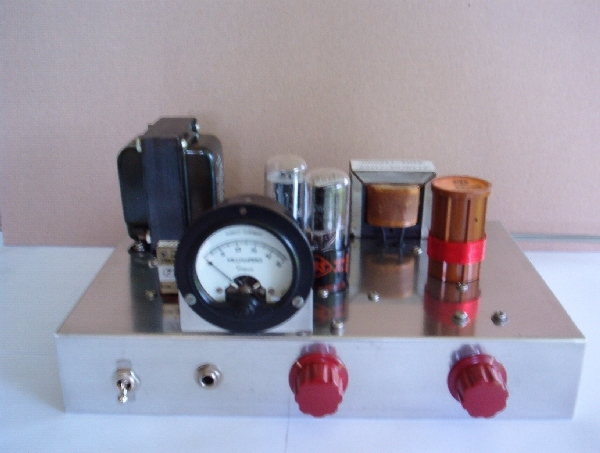 The transmitter is made from the late version schematic, adding a meter and modifying the power supply to choke input. Choke input filtering gives better voltage regulation and is useful for varying load conditions. Remember the power supply provides high voltage which can be LETHAL. Use extreme caution and seek help in construction if needed. Always before touching anything under the chassis, turn the power supply off and wait a few minutes. Layout of the transmitter is similar to the AC-1. I used parts on hand from my junk box and did not attempt to make an exact replica. This improved version of the AC-1 transmitter has a clean tone and no detectable chirp. The power output is 5 1/2 watts with the 6V6 running at 35 ma. This was a fun project that took about two weeks of spare time to complete. I hope to catch you on the air running your homebrew AC-1 transmitter. There is just one more thing to do to make this transmitter complete. The nice part of building a project like this is the pride you realize after it is finished and then the right to name it whatever you want to. 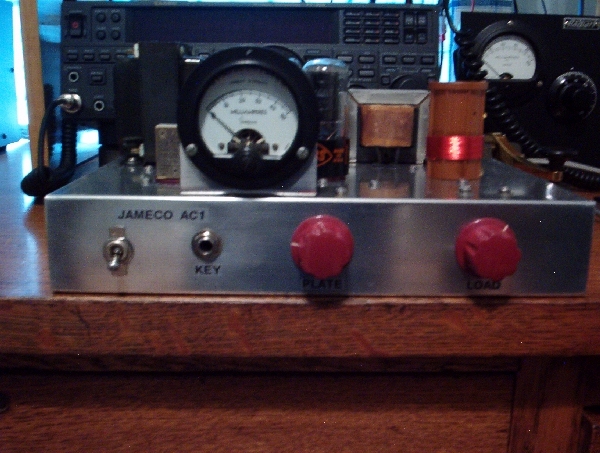 So here it is, the JAMECO AC1. As much fun to build as it is to go on the air with.